The F.I.T. 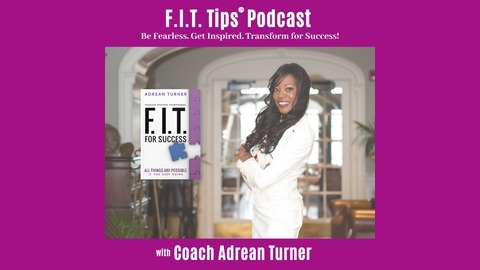 Tips for Success™ podcast is information and inspiration to be your best self and get more out of life. Listen for ways to succeed with greater confidence, set goals, overcome barriers, stress less, live better, and outsmart your brain to achieve your full potential. 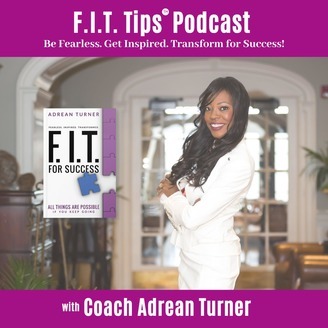 Adrean Turner is the host, a Coach, Trainer, Career Empowerment Speaker and the Author of Fearless. Inspired. Transformed: F.I.T. For Success. Learn more at www.coachadrean.com. Download free resources or schedule a complimentary session. Job stress can be a challenge, but you can build rapport in the workplace and put good energy into the atmosphere. Listen to gain support and enhance relationships, and create an environment where you and your colleagues will achieve more and feel less stress along the way.